The global automotive catalytic converter market was valued at USD 152.6 billion in 2017 and is anticipated to grow at a CAGR of 8.9% during the forecast period. Automotive catalytic converters are used in vehicles for conversion of harmful chemicals in vehicle exhausts into harmless gases such as steam. The harmful pollutants of the vehicles are transformed into less harmful emissions before exiting the vehicle exhaust system. The catalysts used for chemical reactions in automotive catalytic converters are precious metals such as platinum, palladium and rhodium. Platinum is used as a reduction catalyst and as an oxidation catalyst. Rhodium is used as a reduction catalyst, while palladium is used as an oxidation catalyst. The different variations of automotive catalytic converter include two-way oxidation, three-way oxidation-reduction, and diesel oxidation catalyst. The major driving factors of the Automotive Catalytic Converter Market include significant growth in motor production, and rise in demand for vehicle from the emerging countries. Introduction of stringent regulations regarding emission and fuel efficiency across the world supports the growth of the market. Increase in disposable income, and improving living standards are factors supporting the automotive industry, in turn boosting the automotive catalytic converter market growth. The increasing advancements in technologies, growing environmental concerns, use of nanoparticles for catalytic reduction, and upcoming emission regulation in South Asia are factors expected to accelerate the growth of this market during the forecast period. Expansion of established companies into emerging economies and technological advancements would provide numerous growth opportunities in the Automotive Catalytic Converter Market. The global automotive catalytic converter market is segmented on the basis of type, catalyst, vehicle type, and geography. Based on the type, the market is segmented into Two-Way Oxidation Catalytic Converter, Three-Way Oxidation-Reduction Catalytic Converter, and Diesel Oxidation Catalytic Converter. In 2017, the Three-Way Oxidation-Reduction Catalytic Converter dominated the global market owing to its wide use in gasoline vehicles. A three-way oxidation-reduction catalytic converter performs three reactions simultaneously, which include reduction of nitrogen oxides to nitrogen and oxygen, oxidation of carbon monoxide to carbon dioxide, and oxidation of unburnt hydrocarbons (HC) to carbon dioxide and water. The catalyst segment is categorized into Platinum, Rhodium, Palladium, and others. Rhodium is expected to dominate the global automotive catalytic converter market during the forecast period. Rhodium exhibits high efficiency for removal of toxic substances from the exhaust emissions. The vehicle type segment includes passenger vehicles and commercial vehicles. Commercial Vehicles segment is expected to grow at the highest CAGR during the forecast period. The increasing governmental regulations regarding vehicular emissions from commercial vehicles drive the growth of this market. Automotive catalytic converters are increasingly being used in private and government fleets to restrict the emission of carbon, nitrogen, and other harmful compounds into the atmosphere. 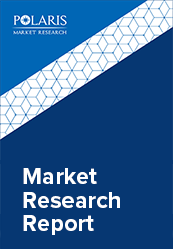 The automotive catalytic converter market report comprises a detailed geographic distribution of the market across North America, Europe, Asia-Pacific, Latin America, and MEA. North America is further segmented into U.S., Canada, and Mexico. Europe is divided into Germany, UK, Italy, France, and Rest of Europe. Asia-Pacific is bifurcated into China, India, Japan, and Rest of Asia-Pacific. The North America Automotive Catalytic Converter Market accounted for the largest share in the global Automotive Catalytic Converter in 2017. The rising regulations regarding fuel efficiency and vehicular emissions primarily drives the market growth in this region. Technological advancements, environmental concerns, and significant investments in research and development boost the adoption of automotive catalytic converters in the region. The leading players in the Automotive Catalytic Converter Market include Magneti Marelli S.P.A., Faurecia SA, Sango Co.Ltd., Benteler International AG, Futaba Industrial Co. Ltd., BASF Catalysts LLC, European Exhaust and Catalyst Ltd, Deccats, Yutaka Giken Co. Ltd., and Calsonic Kansei Corporation among others. These vendors in the market are launching new products to meet the growing customer needs. In addition, the leaders in the market are acquiring and collaborating with top companies in the market to enhance their offerings in the market and expand their customer base.